We are more than half way through Lent. If you have been “with or without” anything extra as a way of “keeping” Lent, then that time is nearing an end. If, however, you didn’t quite do what you planned, I have an excellent suggestion for you. You can join me. This year I will be “walking with Jesus” during Holy Week. 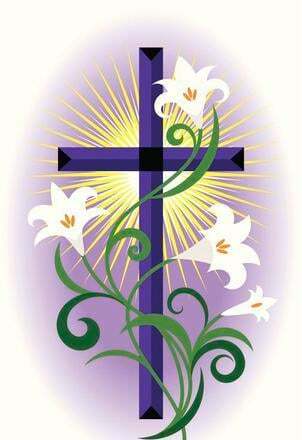 Holy Week is the week between Palm Sunday and Easter. Even if you have a bad knee or hip, don’t worry, we won’t actually be “walking”. Each day during this week I will focus on what Jesus did as close to the time He did it as I can determine. The last time I focused on this “walk”, I felt God’s presence in a special way. We have attached a copy of the timeline of Jesus’ activities. The timeline lists the day, what Jesus did and where that is found in the Bible. You can take a small New Testament with you, fold the sheet in your pocket and refer to it as discretely as you want. Or even better, do it with a friend. Except for Friday, I did not list the approximate times. Read the scriptures and try to decide if the events happened early morning, late morning, etc. This could be the most meaningful walks you have ever done as a Christian, and you don’t even have to get out of the chair.